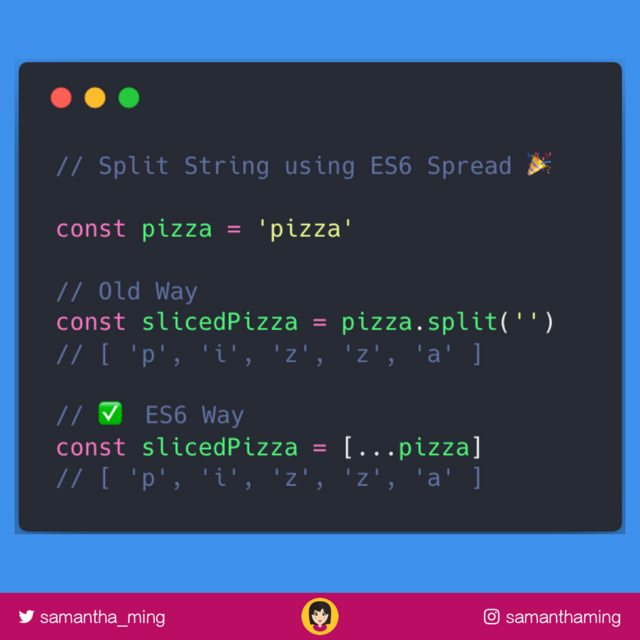 Convert a string to an array of characters using the spread syntax! Here's a good use case as to why you would want to split strings. Not only is using spread more concise, but there are consequences to using split when multi-byte #UTF8 chars are involved such as emoji characters. And the reason why split spits out garbled results is because the '🍕' emoji has a length of 2. It is a surrogate pair of unicode code points. With the split method, it splits this pair apart, hence resulting in 2 giberish results.